Innov8tif Blog: Digital Telcos are Mushrooming in Malaysia. But Why Digital Telco? Digital Telcos are Mushrooming in Malaysia. But Why Digital Telco? Aside from the rapid rise of e-money issuers in Malaysia with 26 licensees for a country of 20-million adult population, another noticeable digital trend is brewing right now in the telecommunication sector. Tier-1 mobile network operators are taking turn to launch a fully-digital telco! Maxis took the lead by being the first tier-1 telco in Malaysia to digital telco last year, branded as Ooyko. Followed by Digi's Tapp, TM's Unifi Mobile (rebranded from Webe) and now Celcom's Yoodo! With a list of 20 mobile network operators (including MVNO), it certainly looks like a crowded space. Why then, are the top mobile operators believing in rolling out another new brand, respectively, as digital telco? The following comments are not representing expert opinions, but my personal views and observations. Being a top mobile operator, it means commanding large market shares. It also means, diverse demographics in customer base ranging from tech-savvy and well-informed youth, to working adults of varying prioritised needs, and retirees who may not even be keen with self-service at all. For an incumbent telco to transform and embrace full-fledged digital innovations, it will be too costly to cater and support every customer segment's service and support delivery preferences. Simply because a quarter of the customer-base aren't keen with interacting with self-service channels such as chatbot and mobile app, the telco has to maintain traditional customer service channels. Simply because there is one-fifth of the customer-base who prefers to sign-up for services through dealers, the telco has to invest in dealer touch-points, channel management, and dealer’s incentives. It’s imaginably slow to innovate with these constraints. Tech-savvy. Totally fine to interact with the brand through mobile app, not even the desktop browser. Knows very precisely what s/he wants. 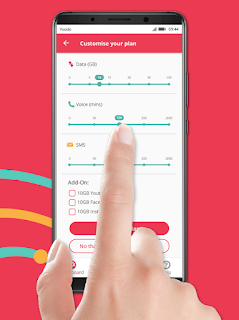 Knows very clearly, the difference between 1GB and 5GB monthly data quota, and what s/he can do with every MB of data subscribed. Very likely, prefers self-service than talking to a dealer. Comfortable with online credit card transaction. A new brand of fully-digital telco in this case, is a good test-bed for the mothership. Eventually, when the digital innovations are proven successful, the mothership could also adopt similar digital strategies and roadmap. An established brand that already has millions of subscribers, also means “it shouldn’t ever screw up!” – from branding to customer service perspectives. However, contradictory, one of the conditions required for digital innovation is – allowing failure! I mean, a company would try its best effort to never fail. But, if everything must be rolled out in perfection, and doesn’t disappoint existing subscribers, it would be a huge barrier for innovation to happen. For example, when a top mobile operator rolls out facial-recognition based customer self-service, it must design its architecture and infrastructure to support, potentially, millions of users! Compared to a new brand, it could easily assume a comfortable test-bed for tens of thousands of users, and slowly scale-up as need arises. Even when a new feature failed, it would probably affect customers in count of thousands, instead of millions – which then even makes national headline! That is why, it may only take a month for a new brand to surprise the market with new excitements; but it could take a year, or even more, on incumbent brand that commands majority market shares. I believe, nobody could relate it better than the “taxi vs ride sharing/hailing” case study in the modern history of public transport. The successful service providers of today, definitely are very well-informed, and aware of potential threats from new entrants in the world of competition. Singapore Airlines launched digital innovation blueprint; OCBC Bank launched FinTech innovation lab; Singtel established S$42.4 million corporate lab with NTU and NRF to accelerate AI and data science innovation. These are examples of efforts invested by well established brands from airline, to banking and telecommunication industry, to NOT FALL BEHIND. Being the number 1 of today, doesn’t mean the brand can sustain to be the number 1 of tomorrow. 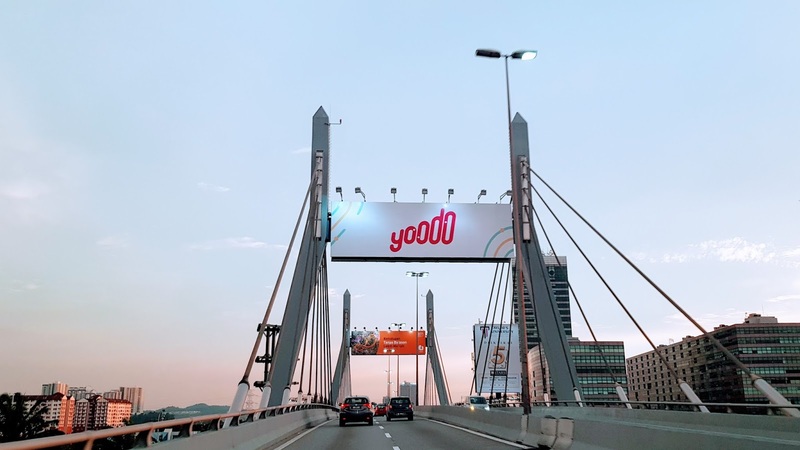 Digital telco is a strategic approach by the top mobile operators in Malaysia today, to make sure they continue to secure the top positions by staying relevant to tomorrow’s customer’s needs. The rise of tech-savvy customer segment is command more competitive rates while expecting high quality service delivery. The only way forward – is digital innovation.